The Irish stars at Coachella went all out for the third day of the festival. We have seen some great looks over the weekend and Day 3 was no different, as the stars stepped out in some fab outfits for the festival. 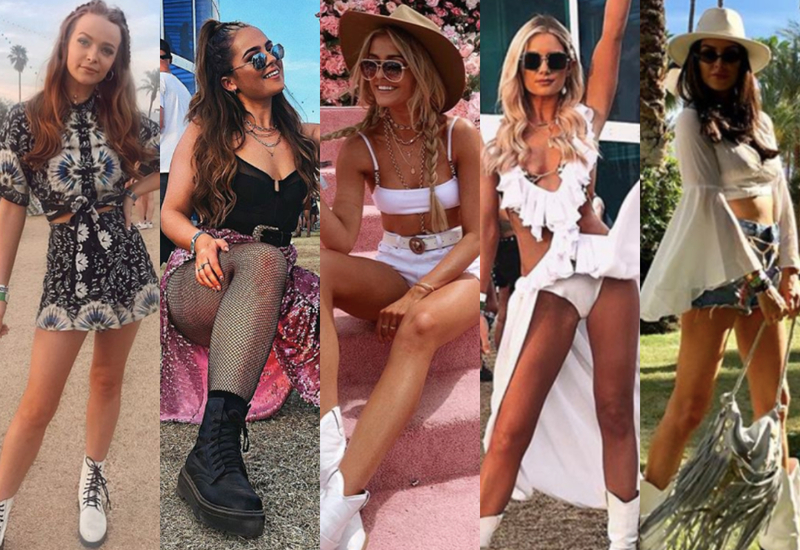 From cowboy boots to fringe, matching co-ords to innovative styling – here are all of the best outfits from the third day of Coachella. After taking a break from the festival for a day and heading to a pool party, Suzanne stunned in denim shorts and a flowing top on Sunday. The businesswoman dressed up the shorts with a detailed gold belt and matched them with layered gold necklaces. Suzanne added a classic fringe bag, white cowboy boots and a wide brim to complete the look. 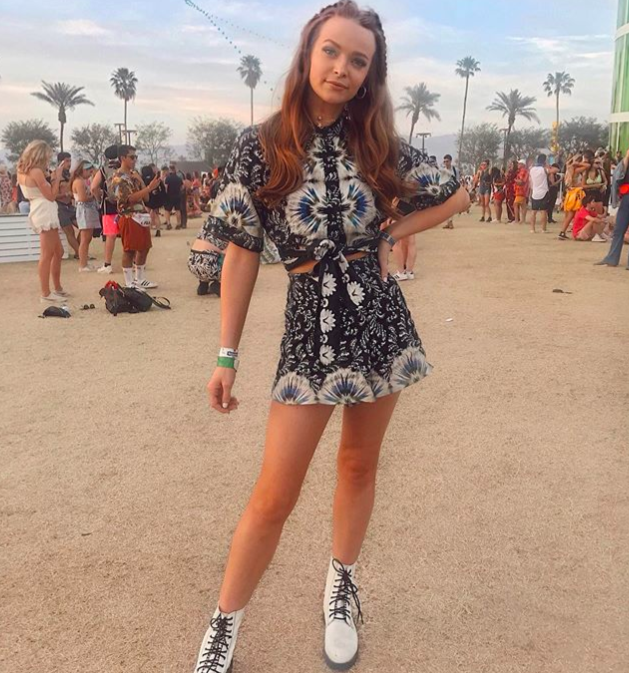 Niamh went for a fab all-white outfit for the third day of Coachella. The social media star donned a beautifully unique dress/bodysuit with an extravagant flowing skirt. She paired the piece with white boots and simple black sunglasses. Louise changed it up with a white ensemble for the third day of the festival, after having gone for a black outfit on Saturday. The fashion blogger wore a fab white crop top with white denim shorts and a white belt. She added a large brown hat and some white cowboy boots, along with layered necklaces to finish off the look. The blogger wore a gorgeous western-themed co-ord, with a black and white print. She matched the outfit with white boots and added simple accessories to perfectly pull the look together. Aoife left her hair down with some beautiful small braids. Aideen donned a gorgeous unique look, as she matched her black outfit with a sparkling pink skirt. 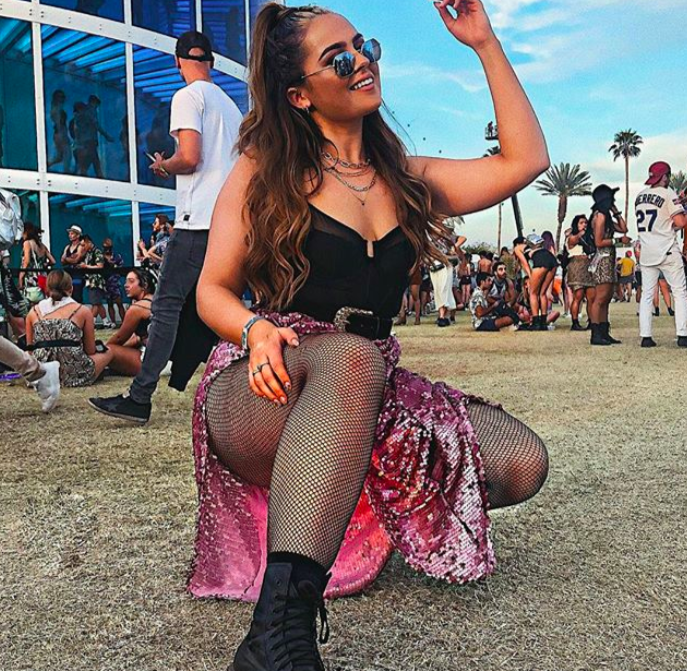 The beauty blogger wore a black top with fishnet tights and black boots, which perfectly complimented the statement skirt. She added a chunky black belt, sunglasses and several necklaces.